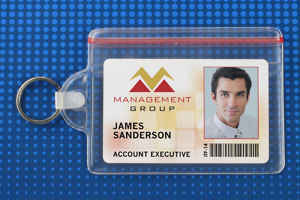 If unique badges or lanyards are needed, ID Security Online will customize them for you. To enhance a brand or promote a company, a logo can be added. 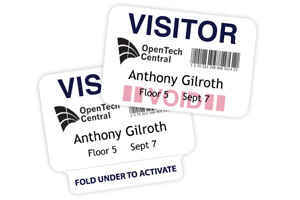 Visitor badges help with workplace security and extend a company's brand to improve the visitor experiences. Issuing visitor badges should be part of effective visitor control procedures. It is recommended that non-escorted visitors and escorted visitors be granted different types of visitor badges. We�re always having to produce ID cards to prove our nationality, when we intend marrying, to open a contract or when we start a new job. 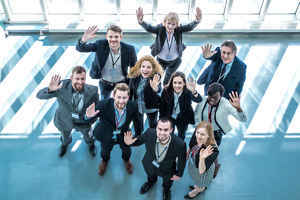 Today, many companies want to make sure that their staff wear some form of a security badge, and the question arises as to whether they should save costs and print in-house or outsource the task and pay more. 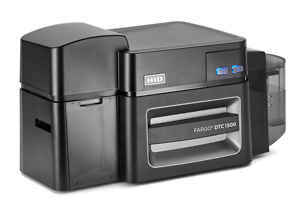 Card printers from Fargo can be trusted to help you with a host of applications. As a global leader in ID systems, Fargo are recognised for the excellent quality of their prints. These printers are highly sought after wherever you go as not only are they affordable, you get professional results from them. Fargo produces many of these plastic ID card printers. The DTC1500 is one of these. It�s a printer that is user-friendly, ensuring the user of clear prints which are easily identifiable. Security concerns are increasing. Government agencies, educational campuses, healthcare facilities, and enterprise corporations are looking for cost-effective, scalable, and reliable solutions for producing ID badges on-demand that are secure. The credentials come in various forms and serve one or multiple purposes. 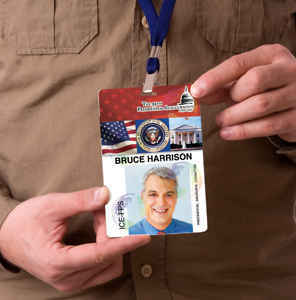 They can be simple photo ID cards to badges allowing physical access through wall-mounted card readers. 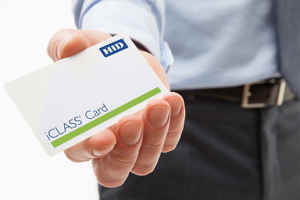 Multi-functional smart cards incorporate sophisticated technology that gives access to protected data or networks or tracks time or attendance. When it comes to security, it is one of the top priorities for healthcare institutions. Vulnerability in this area can spell disaster. That is why it is imperative to have a secure system that allows the institution to exercise strict control and observation over everyone involved, from the medical staff, to patients and also non-medical staff. The question, however, is where a system like this is needed. The answer is simple. Everywhere. What Size ID Card Should I Choose? Most people nowadays have a collection of plastic cards in their wallets, of which the majority are the standard �bank card� size�3.370 inches wide by 2.125 inches high. Many customers ask �why, then, if the industry has a standard sized card, are there different sizes and when should I choose them?� This post gives you a little guidance on the different sizes and their uses. What�s the Difference Between PET and PVC Cards? You may have wondered what�s the difference between PVC and PET cards used for identification purposes. Here are a few quick guidelines for selecting the appropriate card for your needs and budget. PVC stands for polyvinyl chloride, an inexpensive plastic material that standard ID cards are made of. 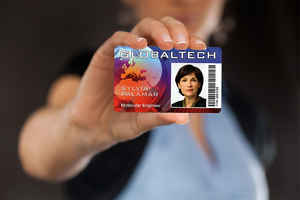 It is the generally accepted ID card material for most printing needs. Specifically, if you have a dye sublimation ID card printer, you�ll get the best quality and professional-looking results by using PVC cards for your identification needs. What is Dye Sublimation Printing? A dye sublimation printer actually heats a solid directly into a gaseous state, bypassing the liquid state. Both the dye and the PVC card are heated, and the gaseous dye penetrates the plastic. When the card cools, the dye has been chemically bonded with the plastic card. To achieve photo-quality pictures on an ID card, the secret is in the size and density of each color dot. The ribbon in a dye sublimation printer consists of cyan dye, yellow dye, and magenta dye, and each color diffuses into the card depending on the amount of heat applied by the printhead. 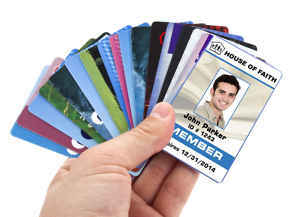 If you have visitors to your facility or are restricting attendance to your event over a period of time, self-expiring visitor badges are an ideal solution to know at a glance who is a valid visitor and who isn�t. 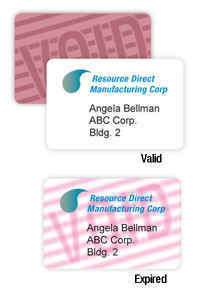 A self-expiring visitor badge cannot be reused, making them an effective visitor management solution for many reasons. First, though, let�s talk about what a self-expiring badge is and how it works. Lanyards may not be considered a high-profile item. Most people would be surprised at the many uses and styles available. 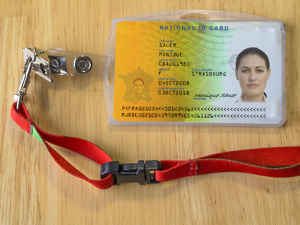 They are most often worn to carry key cards and ID badges. A properly equipped lanyard can carry other things and are surprisingly versatile. Nearly everyone has seen lanyards worn by students, factory employees, retail clerks, and office workers. 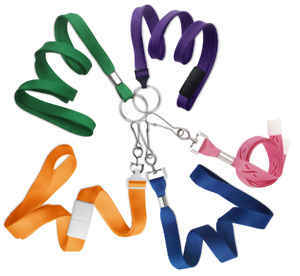 The lanyards usually hold ID badges that are necessary for school or workplace security. They are versatile enough to be used for other purposes. When you issue ID security cards or badges, you want the most effective and secure form of card possible to ensure your security measures are being met. Whether you issue student ID cards, driver�s licenses, membership cards, or security badges for employees, it should be easy for you to verify the identity of the holder while incredibly difficult for someone else to forge or copy an ID security card you issue. Watermarks are an inexpensive, simple way to add an additional layer of security to your ID security cards or badges. ID cards are always used for identification purposes, but sometimes they have additional purposes. A badge can be used to help customers easily identify employees when they need help. Some badges need to be quickly presented for identification, and other are swiped or scanned for time tracking or access purposes. All of these uses require different badge holders. This comparison is meant to provide information that will answer those questions. An informed buyer will be more satisfied with a purchase than one who does no research or comparison. There are advancements in photo ID technology that are revolutionary. 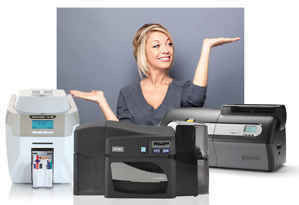 Use this information to compare three printers.